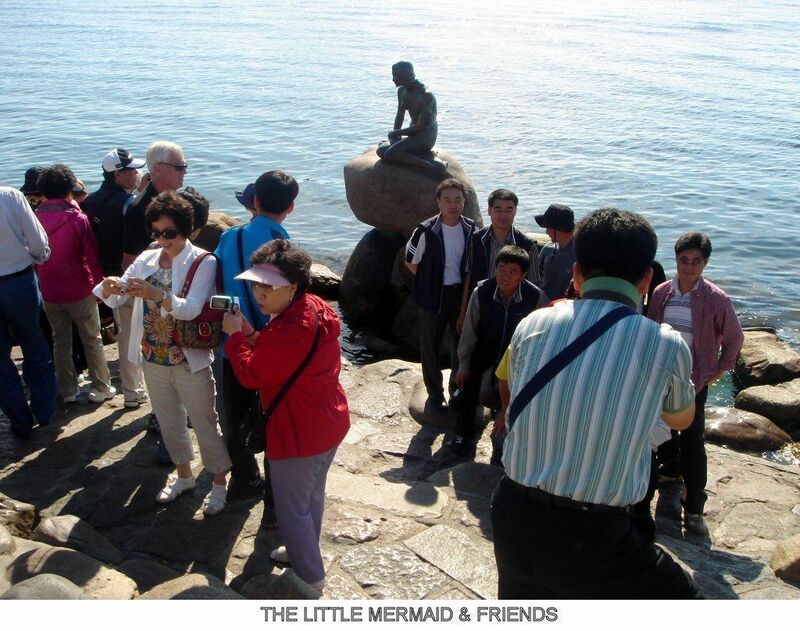 Celebrate the Little Mermaid's centennial in a city packed with fine arts, family-friendly attractions and accessibility; the Scandinavian capital of Copenhagen, Denmark is a great place for a sophisticated and cultural family vacation. Copenhagen is truly one of Europe's superb cities, an eminently livable, bikable, walkable urban environment of pleasing, older, low-rise architecture, striking contemporary design, canals, museums, parks and more. Most tourists will stay within the city limits; however, there is much for a family based in Copenhagen to see throughout Denmark (check out FTF's Denmark Family Attractions guide), and the train system makes it easy and economical to do so. To explore more offerings of interest for a family vacation, and to book hotels and tours, go to the Visit Copenhagen site. Now, for your tour! The charming Little Mermaid has stood guard over the harbor since August 23, 1913, and is celebrating her centennial this year. Commissioned by a beer merchant (son of the founders of Carlsberg Breweries) after being deeply moved by a ballet performance based on the tragic Hans Christian Andersen tale, the 49-inch bronze by sculptor Edvard Eriksen embodies longing for love and transformation. She stands on the shore, but rarely alone, as busloads of tourists swarm around. It's only slightly out of the tourist track, just over a half-mile from the Amalienborg Castle area, but an easy bike ride. This is a classic 17th-century castle located diagonally opposite the Staten Museum fur Kunst, the National Gallery (Art). It's a real kid's fairytale version of a castle; a royal house of many rooms full of history, furniture, and royal portraits going back over 300 years. 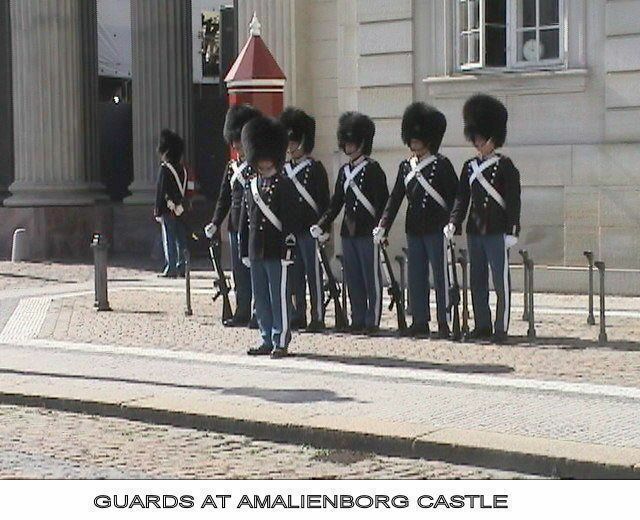 Within the sprawling grounds adjoining the King's Gardens, every day at 11:30am, the Royal Guards begin to march from their resident quarters to relieve the guards protecting Amalienborg Castle. Within the impressive art museum there resides a children's museum with dedicated rooms offering selections from the collection, hung at child level. 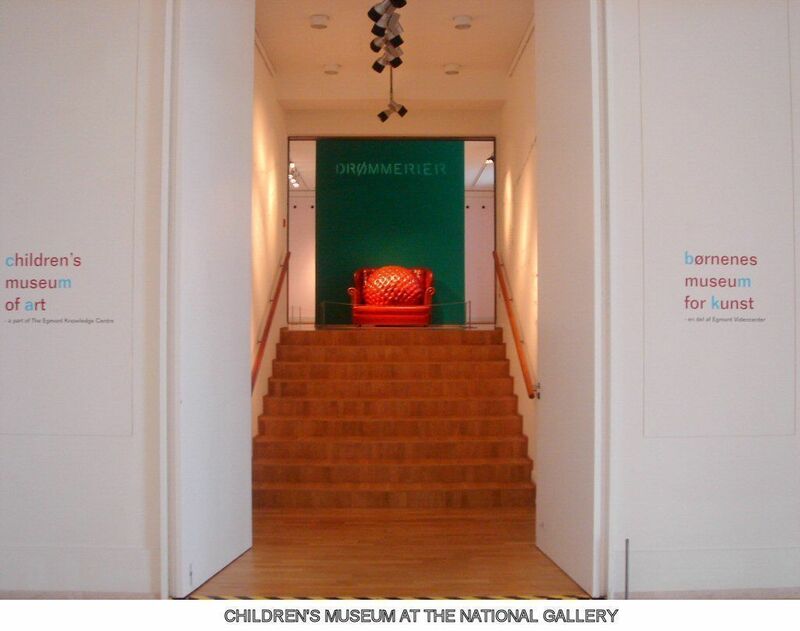 The exhibitions challenge children to think about and connect different pieces. Scattered among the permanent collections, kids will find "children's stations" where they can experience art in innovative ways. 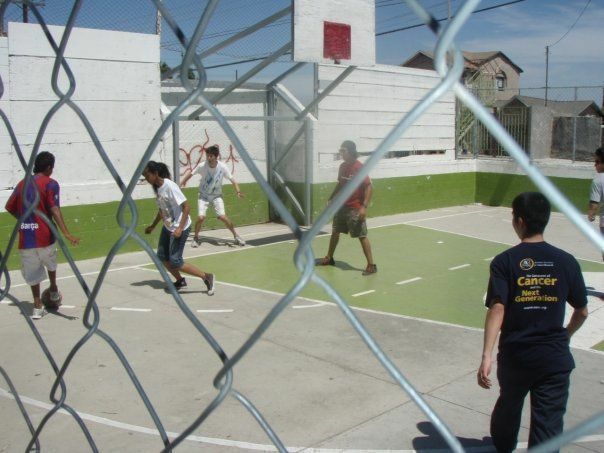 There is also an appealing workshop area and classes with English-speaking teachers offering structured work or free-form fun. Every first Sunday from 10 to 4, the museum hosts a variety of events that include fun with clowns and unleashing children's inner artist. 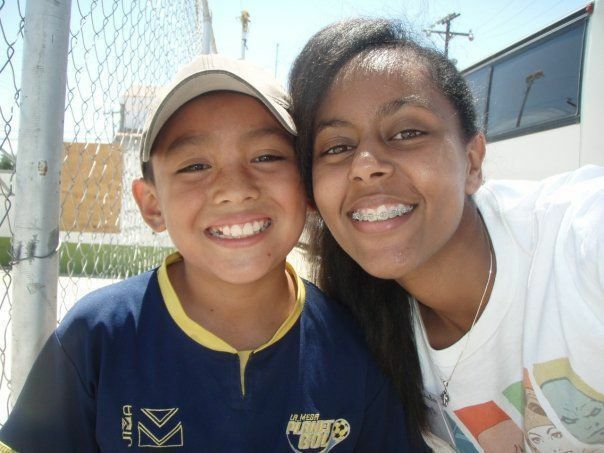 It all makes for a visit worthy of young families. The Copenhagen Zoo is one of Europe's oldest, but houses one of the newest pieces of zoo architecture. The Elephant House was designed by one of Europe's best-known contemporary architects, Sir Norman Foster. That's only one of the many treats of the large zoological park, home to 3,500 animals of 250 species. Set in lovely Frederiksberg Have (park), it's worthy of a visit with the family. The zoo is also no technological slouch, with loaner mobile phones available to provide facts about the animals, tell you about theme tours, and text you 10 minutes before animal feeding times. They'll also loan you a ZooPC, which will track your route via GPS on your visit and guide you through the grounds. One of the city's strengths is the remarkable system of bike lanes. Almost every major street has one in each direction, with special traffic lights for bicycles. You can rent from several bike shops (ask your concierge) or rent from most hotels, then go around on your own or join one of a number of tours. One of the most popular, endorsed by the Copenhagen tourist office, is Bike Copenhagen With Mike (+45 26 39 56 88), which offers a variety of tour options for Copenhagen and surrounding countryside, led by the gregarious and personable Mike Sommerville. The basic 3-hour tour runs around 290dk (around $51) plus bike rental of 200,00dk ($35 for 24 hours). For fans of natural science museums with more than 300 exhibtions with lots of hands-on activities (in the "Please Touch" style), the Experimentarium provides a rich array of entertaining displays. There is even a Kid's Pavilion where children can explore mirrors, tunnels, build houses with cranes and dance around. It's in the nearby town of Hellerup which is only a short train ride north of the city, plus a short walk or bus ride. (S-train to Hellerup Station). One of the best ways to entertain teenagers, while sneaking in an explore of contemporary Danish design, is to go shopping along the famed Strøget. It is really five sequential streets, starting at the Rådhuspladsen (City Hall plaza) and ending at the elegant square Kongens Nytorv, adjacent to the bustling canal boat dock and restaurant row of Nyhavn. In the middle on the stretch of Strøget named Amagertorv, you'll find three major design stores: Illum Bolighus (+45 3314 1941), Georg Jensen, and Royal Copenhagen Porcelain. Illum Bolighus is a 100,000-square-foot cornucopia of Danish design, selling a range of goods from furniture to flatware to crockery. Whether you buy or browse, you'll find no better repository for exquisite Danish design. Every major Danish designer is represented, including Georg Jensen and Royal Copenhagen, but you can also go to their stores on the same block. We must report that there is a certain masochistic element to shopping, as the prices just seem extreme, even to seasoned New Yorkers, perhaps a short term exchange rate phenomenon. Further down Strøget you'll pass countless clothing stores, where your kids will decide what's worth pursuing. 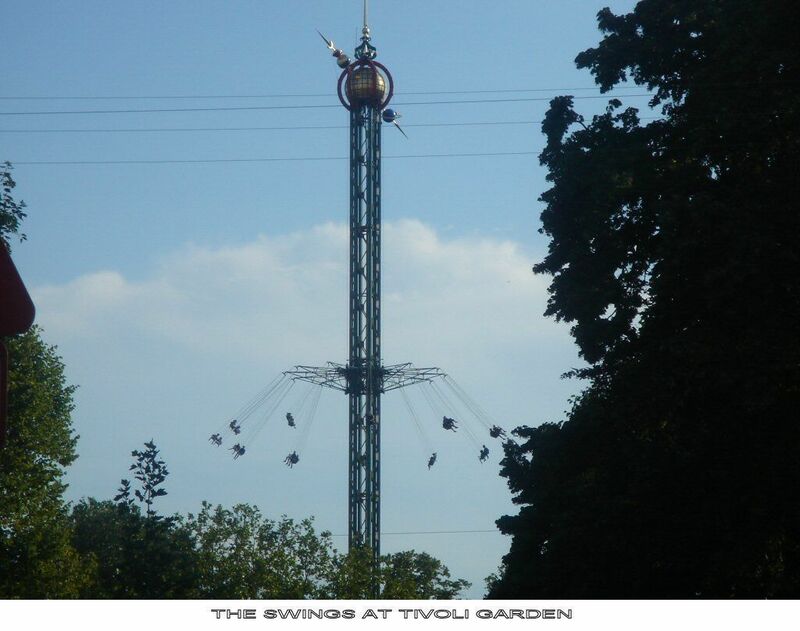 Tivoli Gardens is Denmark's best-known attraction and provides, in the heart of the city, a world-class mixture of lush gardens, entertaining stage shows, good restaurants, and amusement park rides and arcade. It's a must-see on any family's trip to Copenhagen and deserves at least half a day or, if you can squeeze it in, even more time. You can't go wrong with the rides or dining choices, and if you want more time there, check out the noted hotel within the grounds. Copenhagen, like Amsterdam, has a significant connection to the water. Fleets of cruise ships dock at the cruise ship harbor during the week. There are canals that run through the old city, which can be toured by long, low canal boats that depart from the lively Nyhavn harborfront. Boats leave every 15 minutes and provide a 45-minute tour of the sights on the harbor; Christianhavn, an entire area populated for over 20 years by squatters; and Slotsholmen, an island created by the canals, that contains the seat of national government. The 1000-year royal history of the Danish Monarchy is on display at two major palaces in Copenhagen (plus several more in the countryside) and should be of interest to any tourist. The stately Amalienborg Slot (castle) surrounds a large octagonal cobblestone plaza with a statue of King Frederick V in the middle. Consisting of four mansions, it's the winter residence of the Queen and her family, and is considered a fine example of Danish Rococo architecture. Don't miss the Changing of the Guard at noon each day. There is a modest exhibit of portraits inside. This is one of the museums every family should see. It's the repository of all things historical and whimsical. It is Denmark's largest largest museum of cultural history You'll find history exhibits from all eras (rocks and bones to elegant palace rooms) and a great period toy collection within the main building. The fun Children's Museum is geared for ages 12 and under. It holds a period dress-up room, "Grandma's Wardrobe," a ready-to-climb and full-scale (though small) Viking ship, and a 1920s school classroom. In a massive 18th Century building, you'll find a substantial collection of weapons of destruction, housed on two floors of Europe's longest vaulted Renaissance hall. 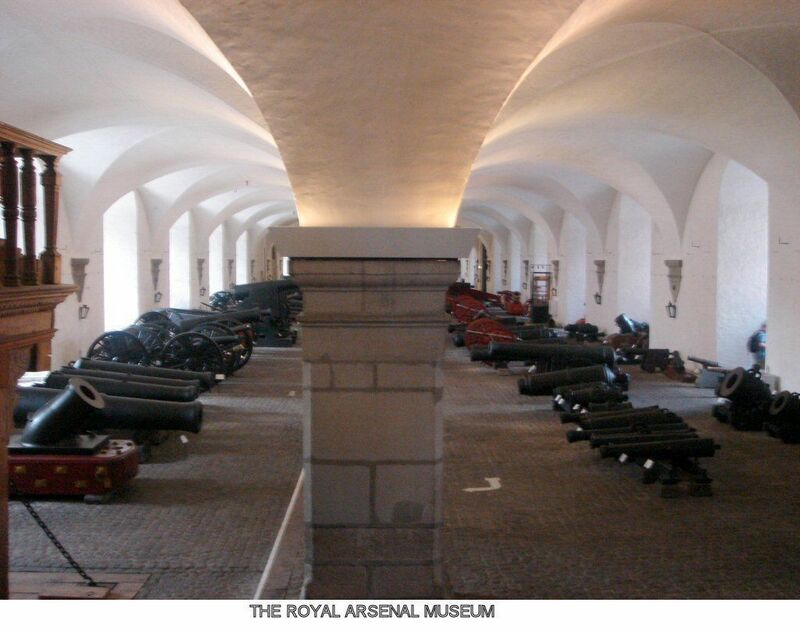 At 163m (448 feet) in length, the first floor is filled with large weapons – cannons of all kinds: short, long, really long, old, modern. It's quite a sight to see so much firepower running the entire length of the hall. On the second floor are handguns, rifles, swords, crossbows of all eras, all kinds. As you walk among the display cases, famous names are printed on the glass at random intervals. It only takes a few names to realize that all are victims of guns, some fatal and some not, a quiet protest against guns set against the backdrop of the widest array of weaponry you've ever seen. The juxtaposition is quite powerful. The only authentic Andersen home open to visitors can be found in the unlikely location of the third floor of the department store Magasin du Nord. Long before the building was bought by Magasin in 1917, this attic room was Anderson's home from 1827-28, while he was studying for his university entrance exams. The room has been reconstructed to its original form, with a small exhibit attached. This museum is a joint venture between the department store Magasin and the Odense City Museums, home of the major Andersen collections. 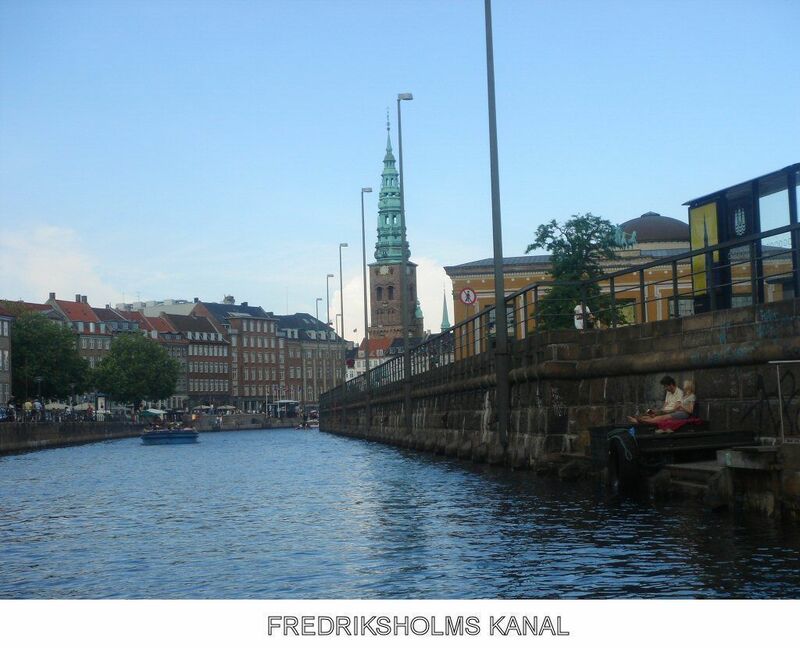 Two of his other former homes have plaques on their wall — Nyhavn #20 and #67, near the canal boat dock. He worked and studied at The Royal Theater, where a bust of Andersen welcomes theatergoers. Tivoli Gardens was a favorite of his, and one of the rides, The Flying Trunk, incorporates elements from his popular fairy tales. A visit to Denmark would not be complete without exploring the vaunted world of Danish design. There are several opportunities in the shopping world, and two special museums. Set in a sprawling 18th-century, former hospital building, the Decorative Arts museum presents contemporary and historic Danish design, which in the 20th century, has been one of the world's gold standards. Work from the past 50 years will be the most familiar, but the historical rooms are a feast of period furniture and decorative arts. The museum is built around a large serene garden, the Grønnegård, which provides a protected space for to kids run free. The museum café serves outside in mild weather and, in summer, the Grønnegård Theater presents productions for all ages on a stage in the garden. On your way out, don't miss the gift shop offering a tasty array of contemporary design products. If you're hungry for more Danish design exhibits, the Dansk Design Center (Danish Design Center) (+45 33 69 33 69) offers revolving exhibitions of both Danish and international design in its new building near Tivoli and the Rathaus. Note: Our Copenhagen base was the Scandic Hotel Copenhagen, conveniently located at Vester Søgade 6 (+45 33 14 35 35), just 5 minutes from Tivoli and a few blocks from the Copenhagen central train station. The location is quiet, but with easy access to the central city. Spacious rooms are done in a tasteful, Danish modern style and a very multinational impressive breakfast, included in rates, consists of several elaborate buffets.